I love fish. Wait, I think I’ve confessed that before. I fight the adoration and strive to diversify my designs and projects, but deep in my heart I would love little fish and nautical touches to surround me in every room. So, when it came to decorating my son’s big boy bedroom, I chose a coastal approach to the design. 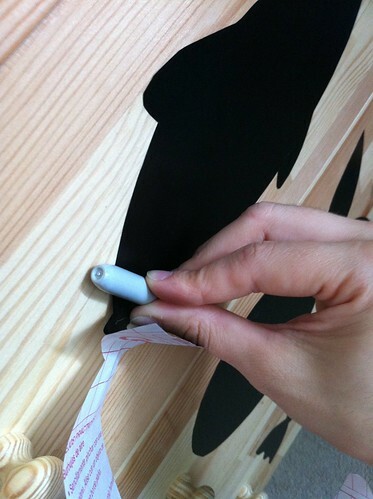 But to be budget-minded, I used two IKEA RAST dressers and chalkboard contact paper. 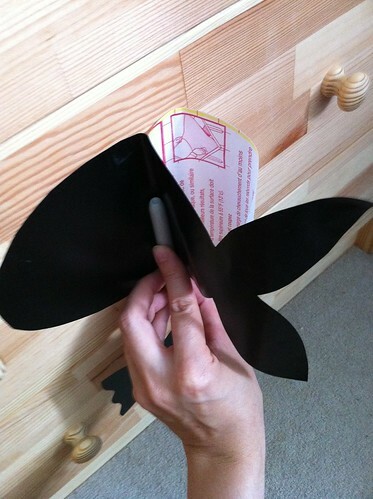 For these simple dresser drawer labels, I bought chalkboard contact paper in large sheets (Amazon.com and Amazon.co.uk sell it). 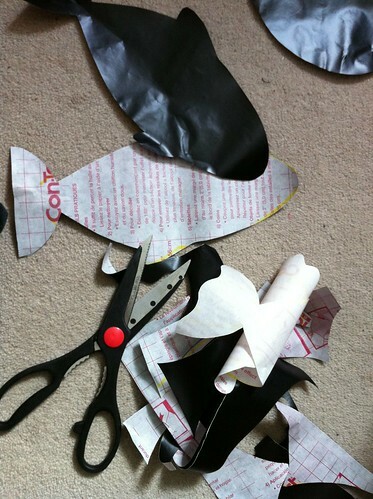 I then used a pencil on the grid-printed backing and did freehand drawings of classic fish shapes before cutting the contact paper sheets. 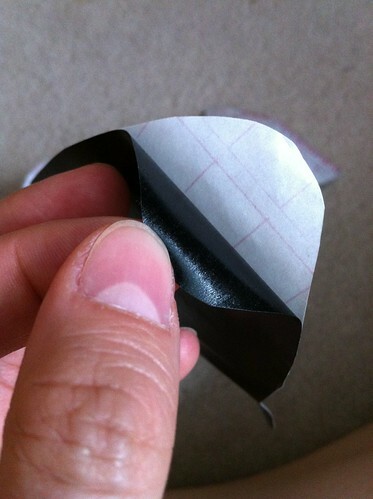 I peeled one edge apart to separate the backing paper from the contact paper, this can be tricky. 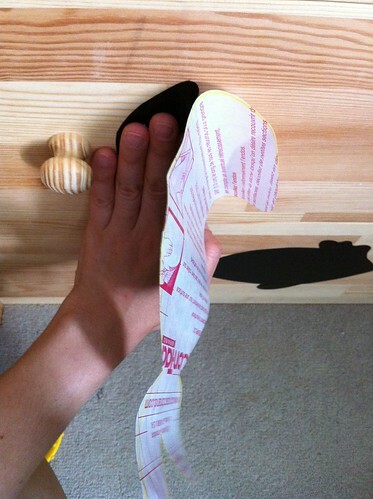 I carefully applied each fish cutout to clean and dry drawer fronts in my son’s bedroom, starting at one side’s edge and working to the other. I alternated the fish shapes and direction for variety, but can switch them around because the drawers can be rearranged within the six slots of the two dressers. I love how the unfinished wood grain works with the chalkboard fish since they share an outdoorsy feel. Going from side-to-side, I used a clip-free pen to roll over it as I went to prevent bubbles. In spite of the wood dresser fronts being unfinished (I didn’t even sand them first), the chalkboard contact paper stuck nicely and allowed for a little adjustment as well. Really delighted with how straight-forward it was to apply contact paper to the RAST. Including two IKEA RAST dressers, the whole project cost €58. Not bad. Chalkboard paint could have cost less, but I didn’t want to deal with the fumes since this was in my son’s bedroom. 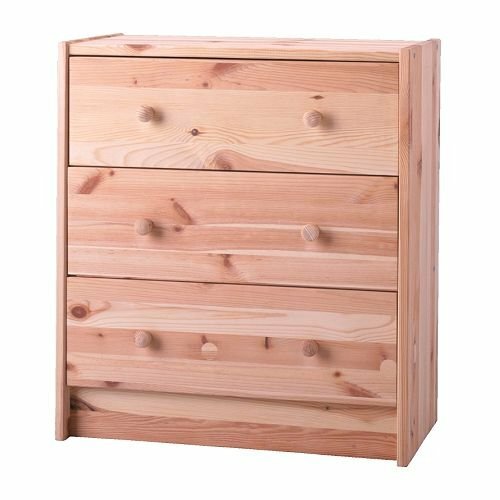 The finished dresser is practical and fun. This is what the dresser looked like brand new and freshly assembled before the fishy additions. 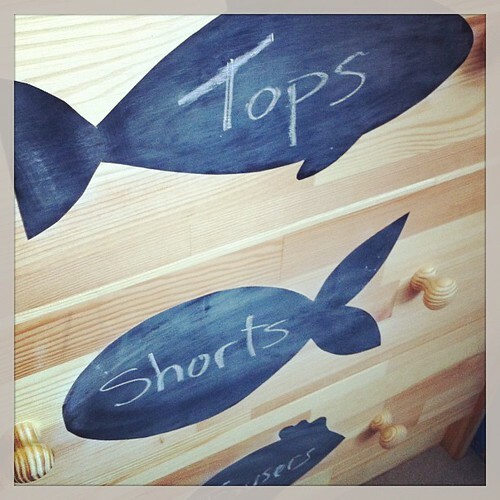 This entry was posted in Home | Style, Tutorials | Patterns and tagged chalkboard, fish, IKEA.